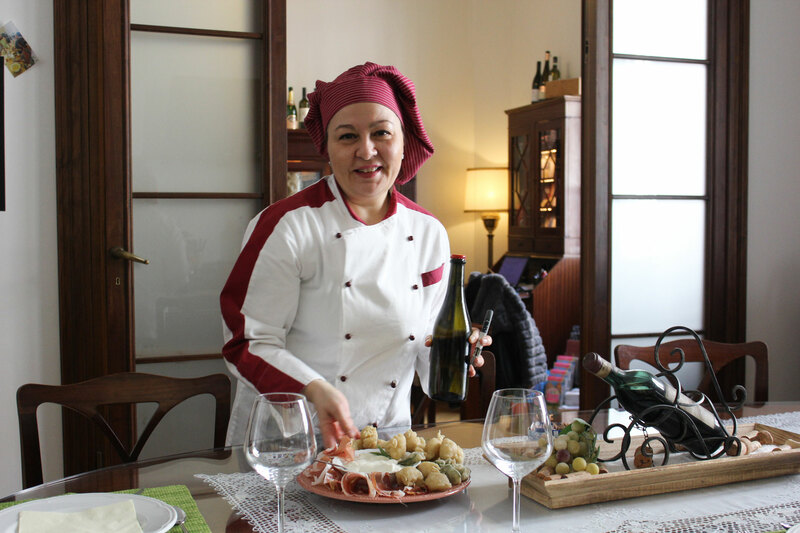 Cinzia is a kind and gentle host who first learned to cook watching her mother and grandmother cook in the kitchen. 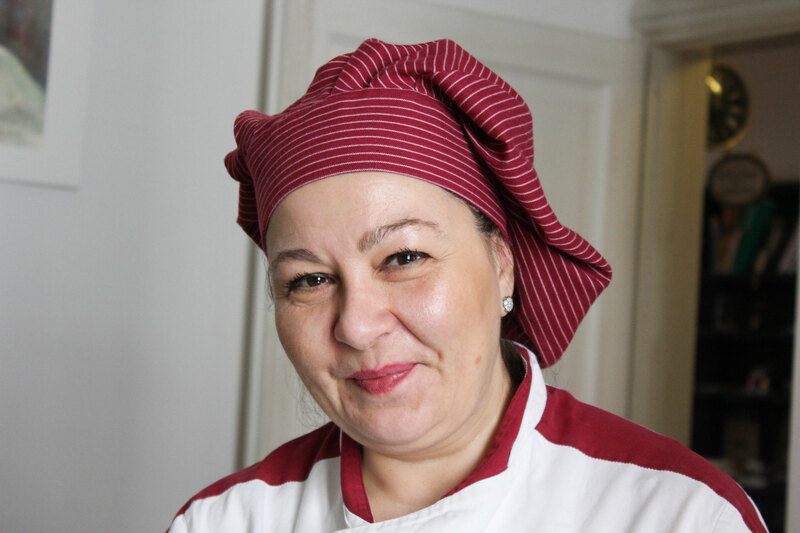 She went on to study professionally at a cooking and pastry school in Italy. 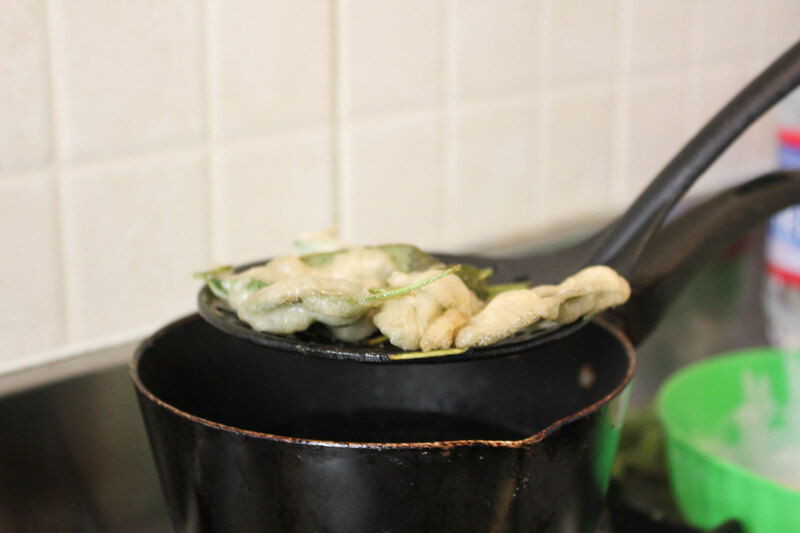 Cooking to Cinzia is love and life. To feed people is to give love, energy and life to people. 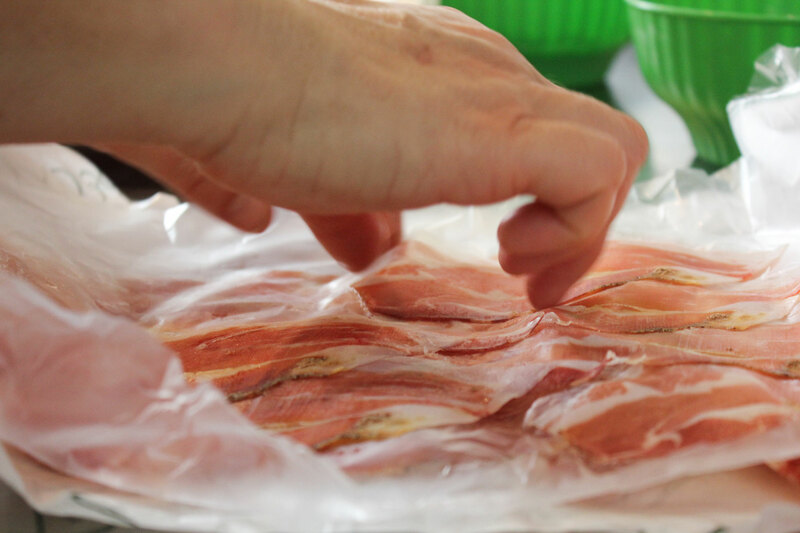 She transfers her energy into the ingredients of the food she prepares. 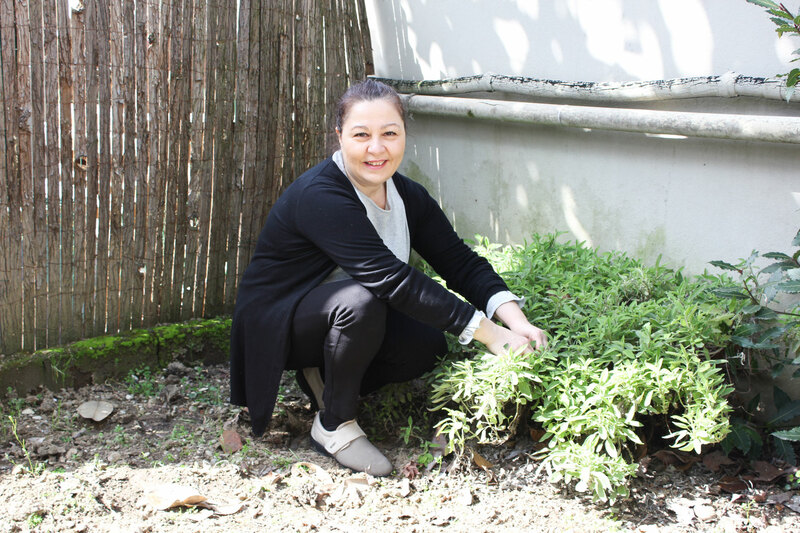 She enjoys sharing her passion for her ingredients and traditions and leaving a piece of her culture with travelers. 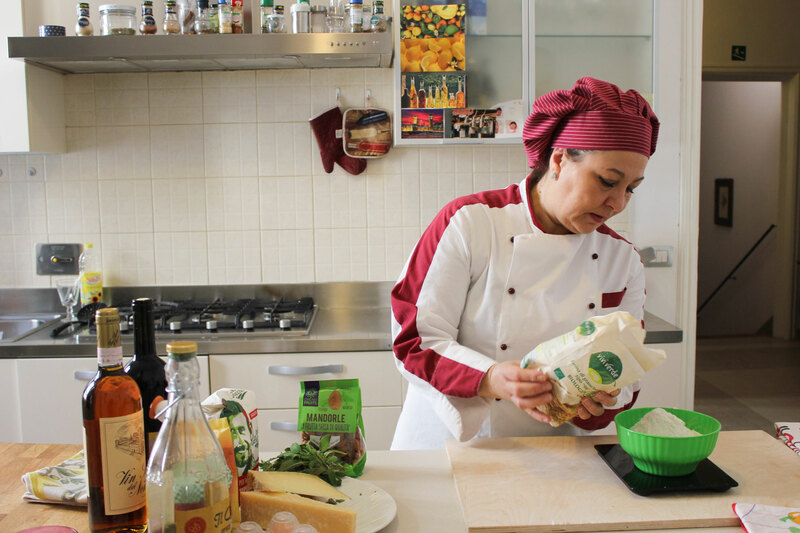 A mother of three, Cinzia works in analytics during the day to sustain her family, and fuels her passion for food by cooking in the evening. 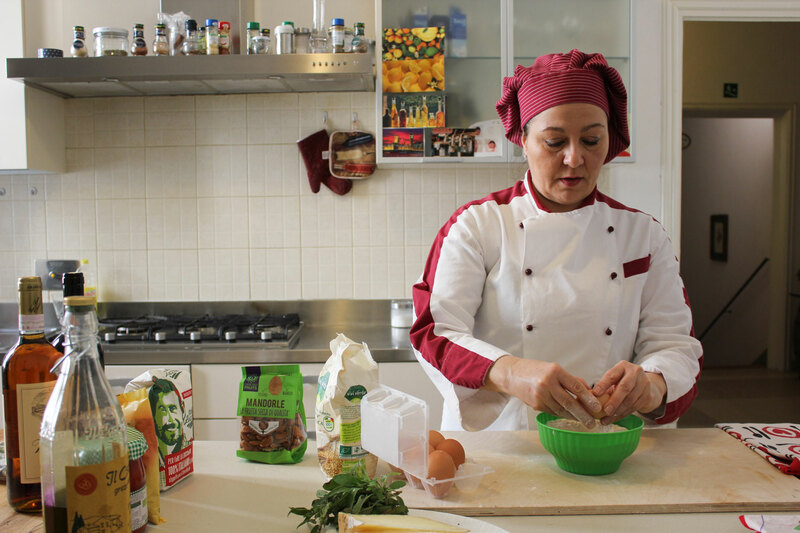 She started a cooking school and enjoys hosting special dinners and events. She also has an interest in medieval and Renaissance Italian recipes. 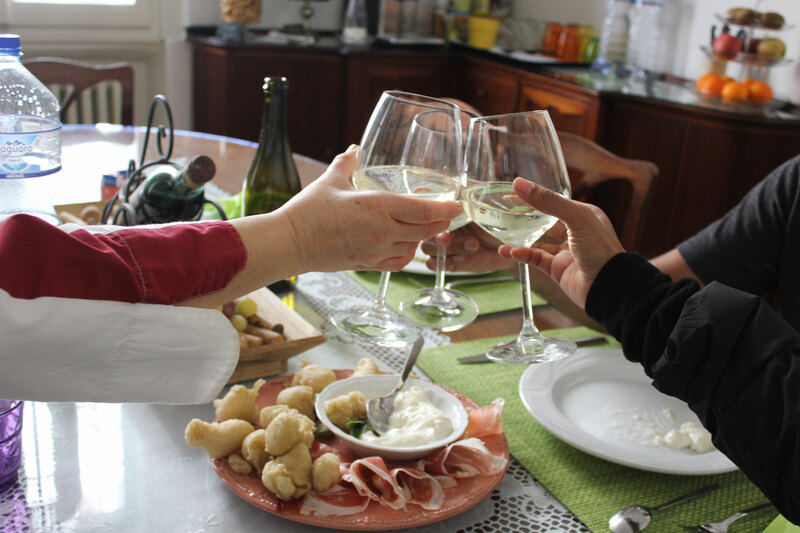 In-home meal: (2-8 guests) Meet your host Cinzia at her friend’s bed and breakfast, a 15-minute drive from the historic center. 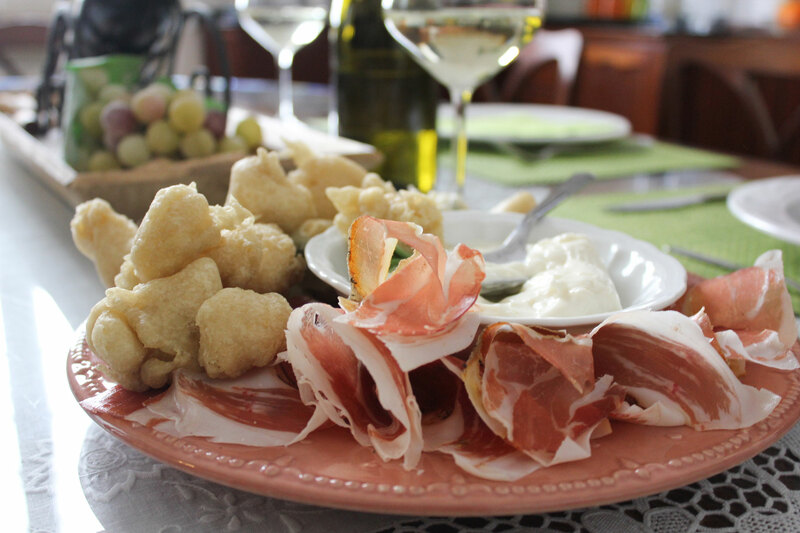 Cinzia will welcome you with a glass of prosecco and an appetizer of Italian cheese and salvio fritti (fried sage) or coccoli fritti (deep-fried bread dough) eaten with stracchino cheese and prosciutto. You will then enjoy an authentic Tuscan meal at the dining room of the B&B or outdoors in the summer garden (weather permitting). 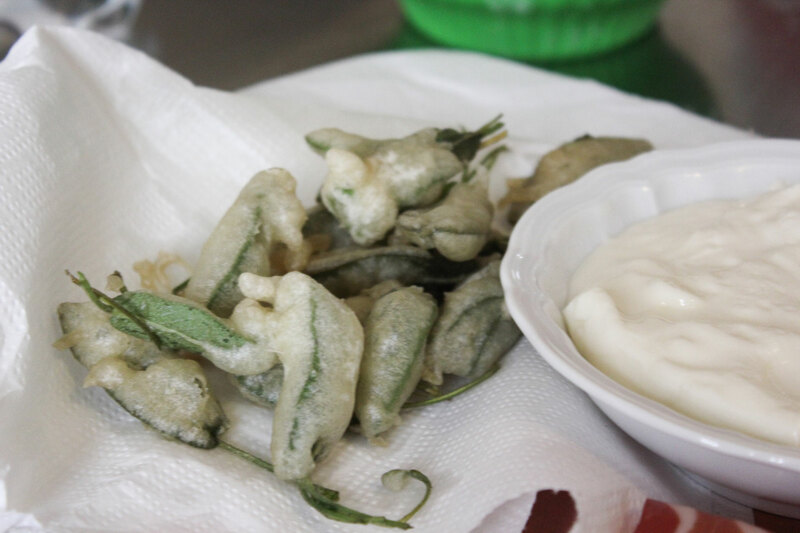 Your meal may include dishes such as coccoli fritti and salvio fritti for an appetizer, a pasta (flat, stuffed or gnocchi) and a main of pollo alla cacciatore or zucchini ripiene (zucchini stuffed with meat) accompanied by wine. 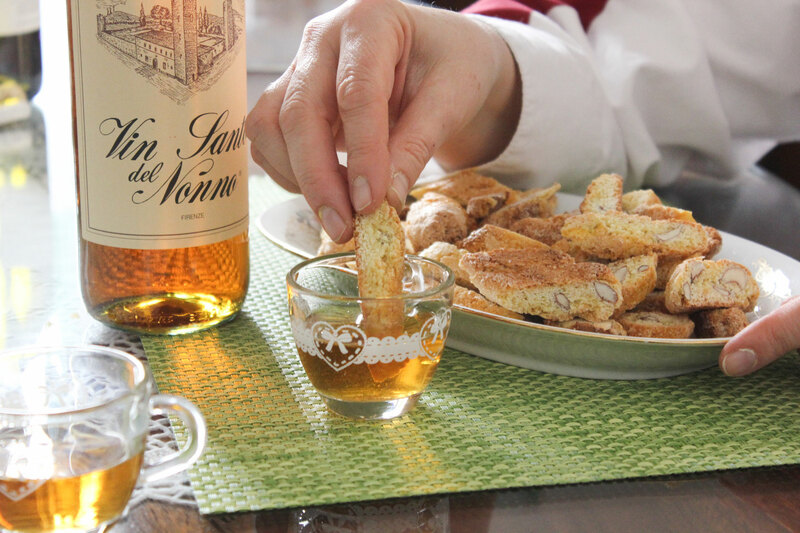 Your meal will conclude with a seasonal dessert like tiramisu, panna cotta or cantucci con vin santo. Please note that prosecco and wine are included in the cost of your meal. 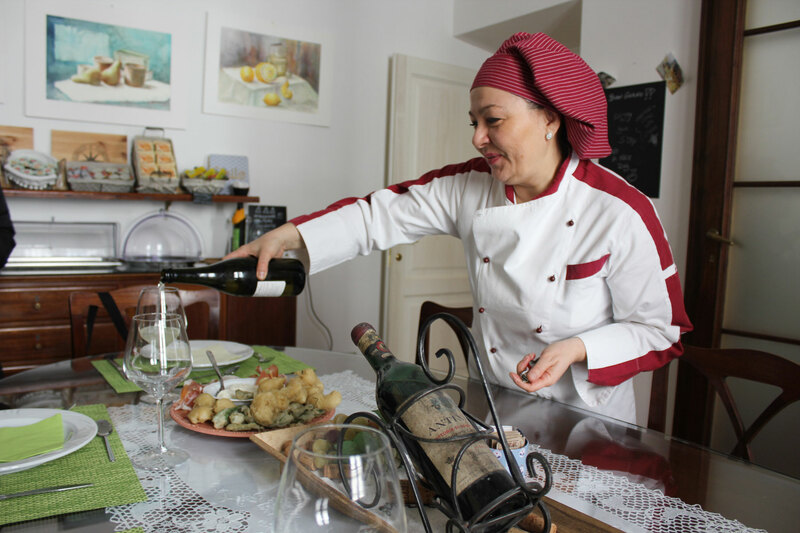 Cooking experience: (2-6 guests) Enjoy your cooking class at a local bed and breakfast owned by Cinzia’s sommelier friends. 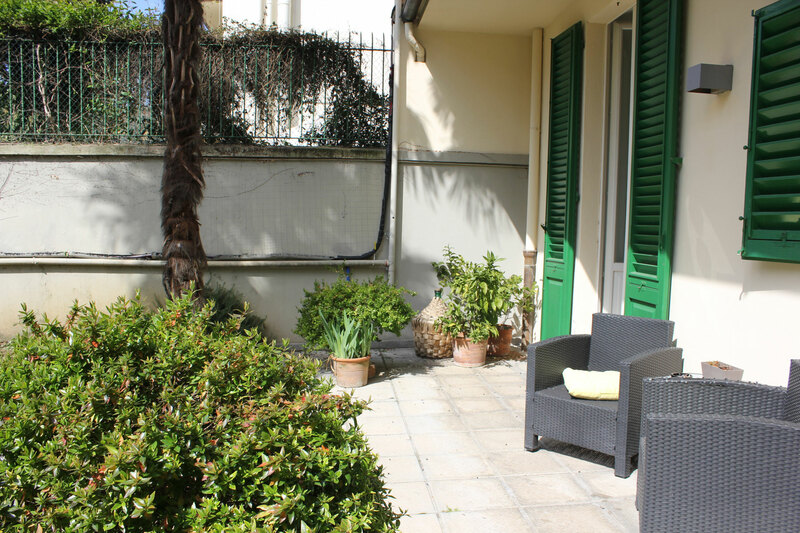 In the summer, you might get to see their small vegetable and herb garden in the courtyard where they grow zucchini, tomatoes and basil and pick a few herbs for your meal. 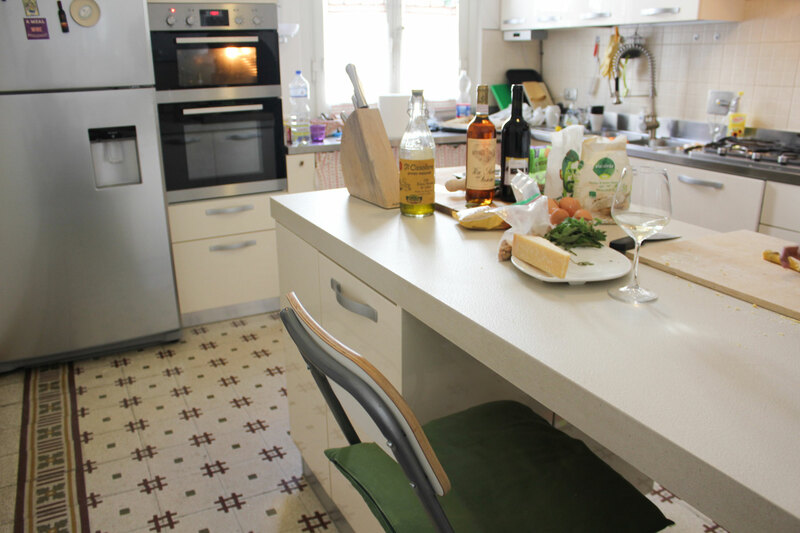 In a light-filled space designed for cooking classes watch as she prepares a Tuscan appetizer for your to enjoy. 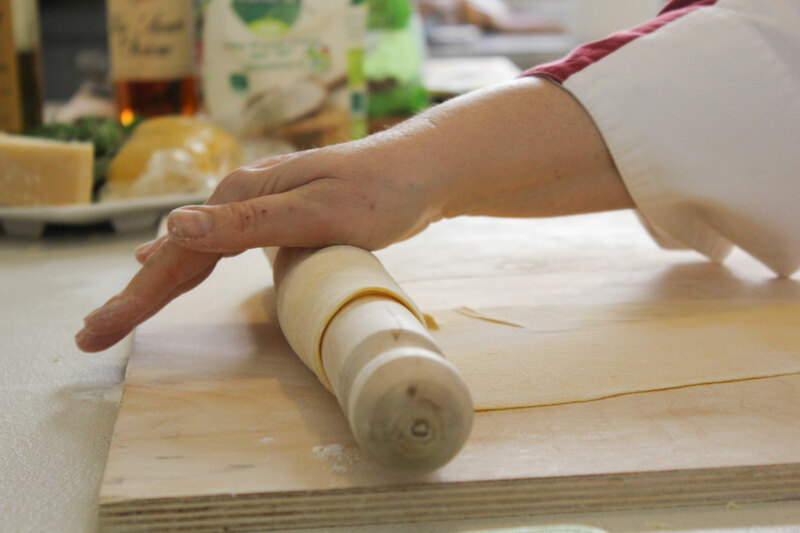 Next you will roll up your sleeves and learn to cook regional Italian pasta from recipes passed down through generations of Cinzia’s family. 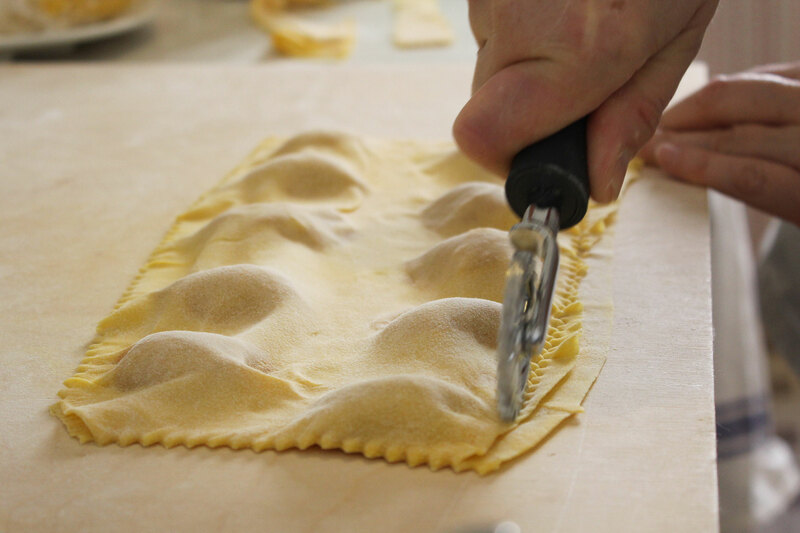 Your hands-on Italian cooking class will last about three hours. 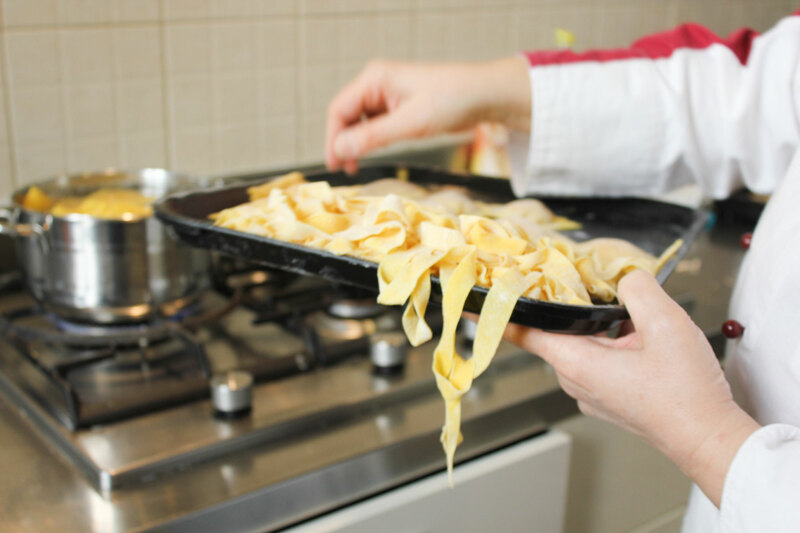 You will learn to cook three dishes from scratch as well as a side or dessert. 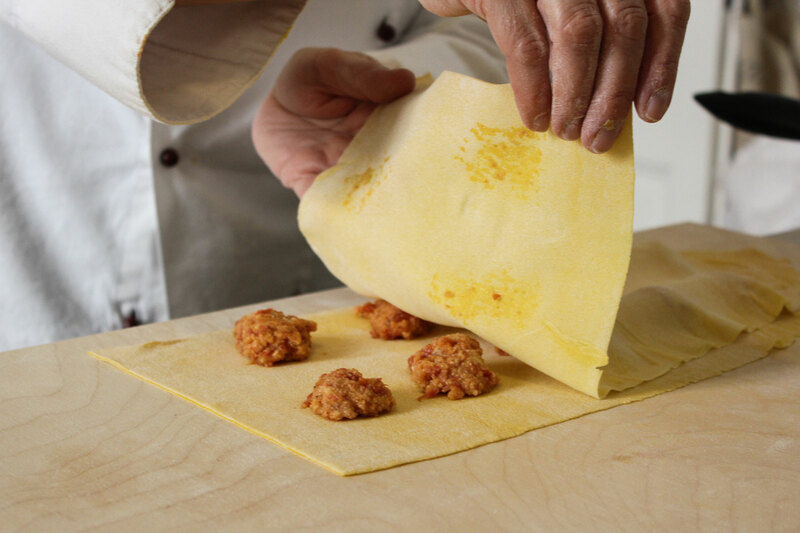 Choose between a cooking menu that includes either three handmade pastas or a pasta and meat main course. 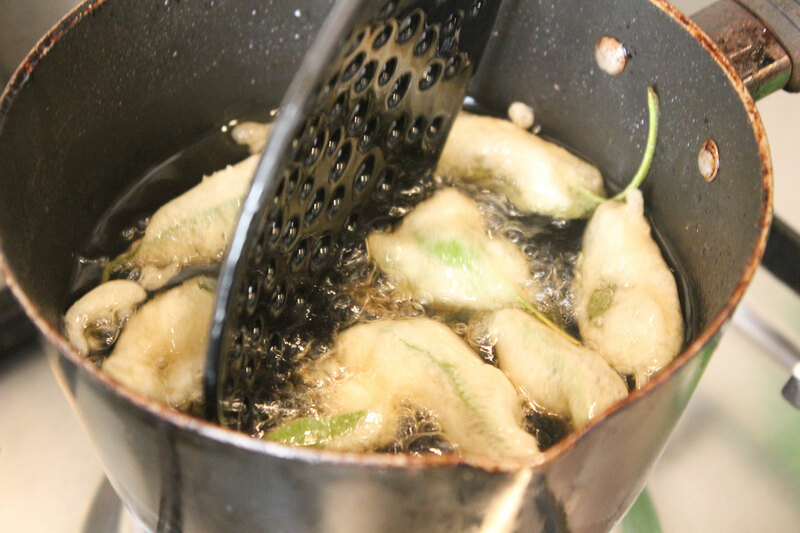 You will also learn to create a seasonal side vegetable and dessert with both menus. 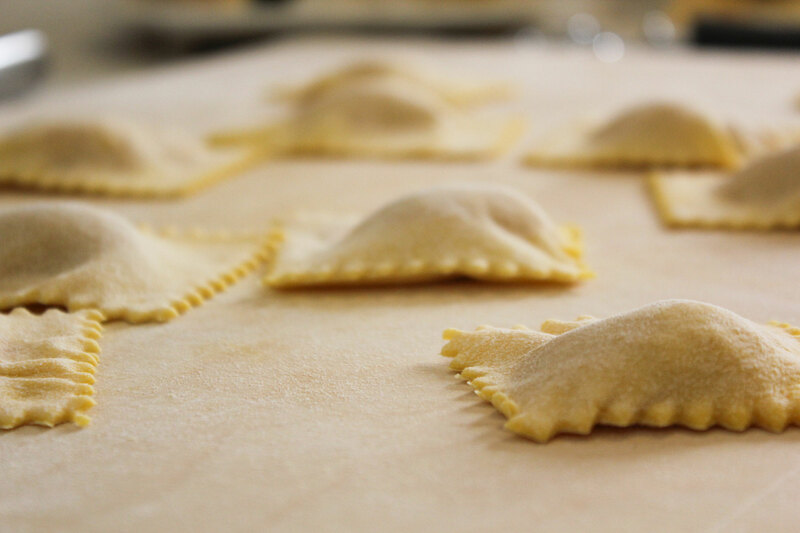 For the pasta menu, you will learn to cook three different types of pasta (a cut pasta like pappardelle or tagliatelli, a stuffed pasta like ravioli or tortellini and a gnocchi) cooked with three different sauces that you will also learn to create. 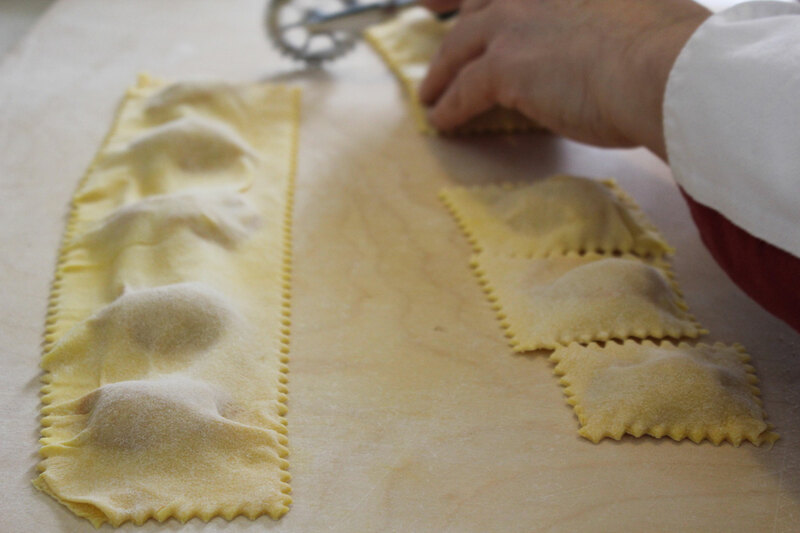 If you choose to make a pasta and meat instead, you will learn to make one pasta and a meat dish such as pollo alla cacciatore (chicken cacciatore), filetto in crosta de carne (a pork and herb stuffed loaf) or zucchine ripiene (minced meat stuffed zucchini). 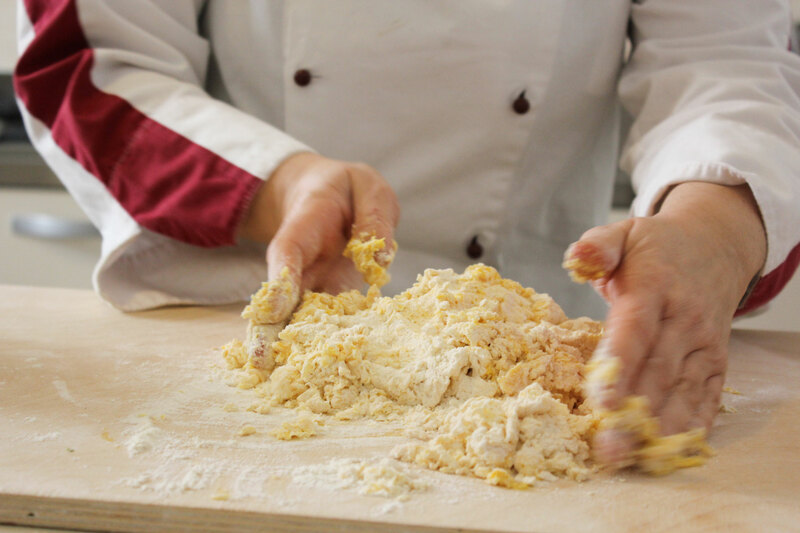 You will end your meal with a traditional Italian dessert you’ve created such as a tiramisu, panna cotta or brutti ma buoni (ugly but good!) biscuit and hazelnut dessert. 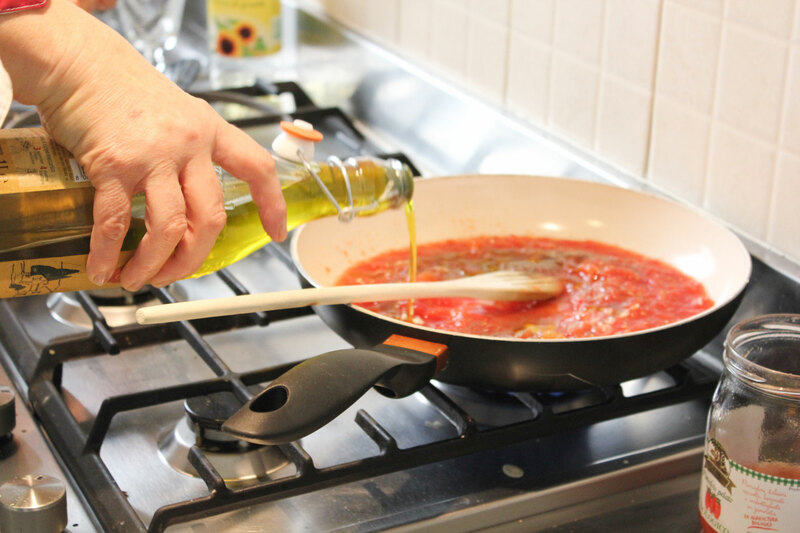 Enjoy learning about the tricks and techniques involved in cooking Italian family recipes before you sit down at the table to share the meal you helped prepare with Cinzia. 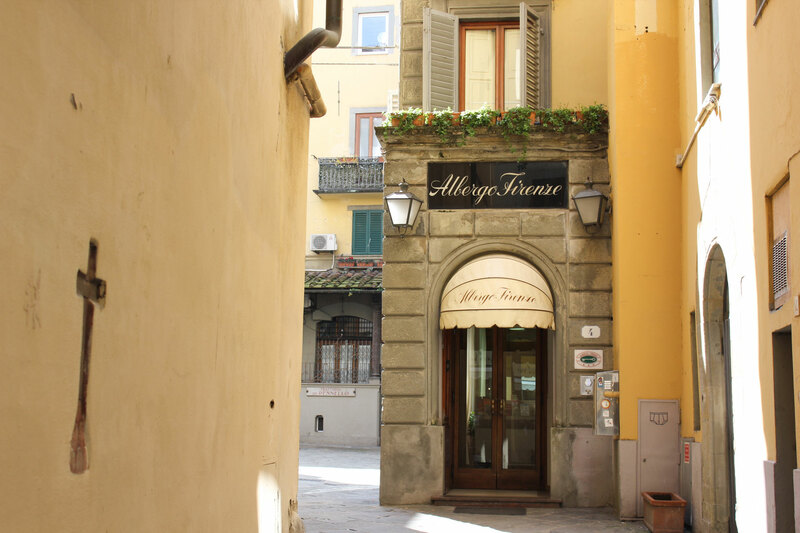 Market visit: (2-6 guests) Meet your host Cinzia at the Loggia del Bigallo for this food shopping tour to explore her favorite food stores to shop at. 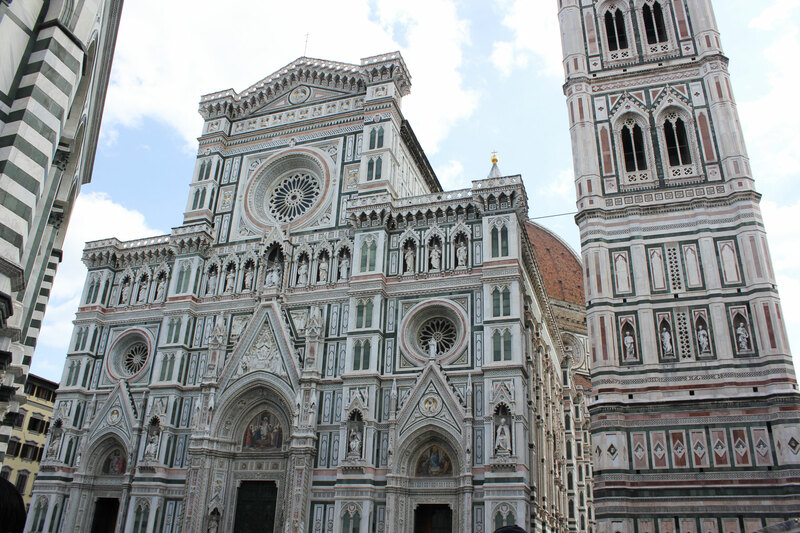 You will be visiting a historic neighborhood on foot with a local as you walk by the beautiful sites of Florence. 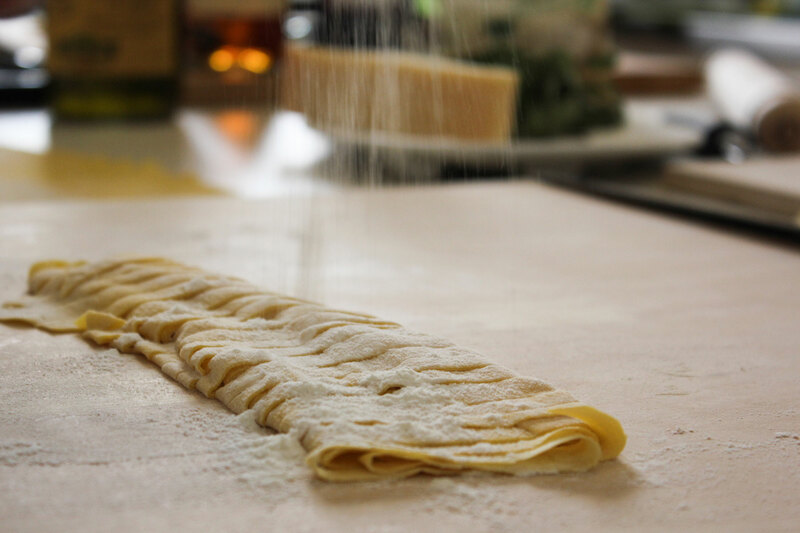 Start your tour with a cup of coffee at one of her favorite cafes before you visit La Pegna, a high-end, historical supermarket known for its specialty, high-quality products, pastas and spices. You can ask Cinzia about the best brands to buy. 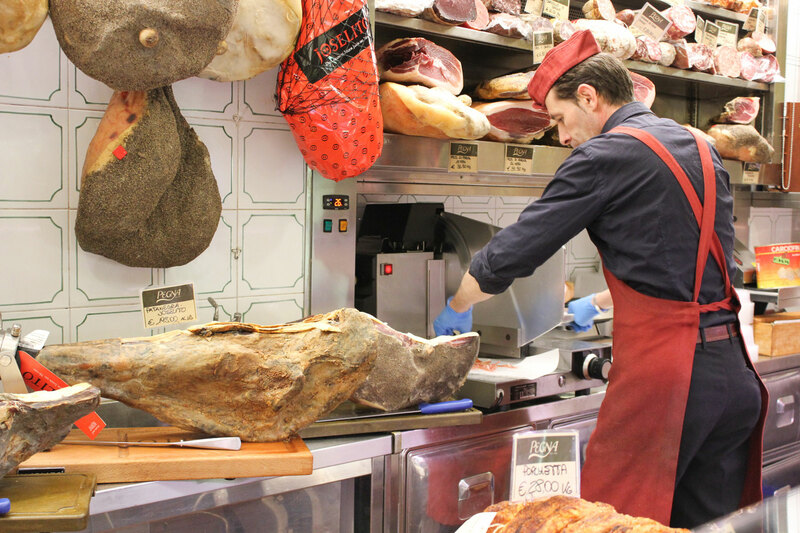 Then walk down Via dei Cerchi and visit a small family-owned grocery store to pick up fresh vegetables for your cooking class. Depending on the day and menu, you may make a few additional stops at either a wine shop, bread maker, chocolate or cheese shop. 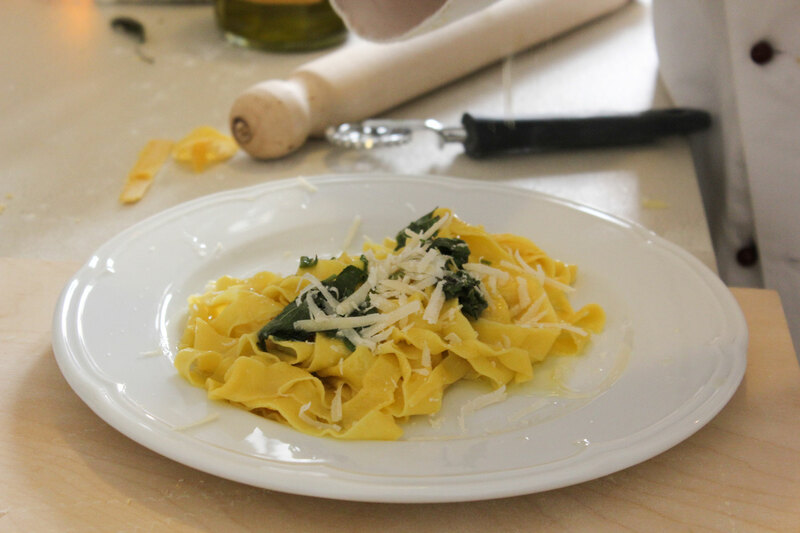 Pick up some cheese from Cinzia’s favorite cheese shop and enjoy a small gelato treat before walking to a coffee shop as Cinzia brings her car around from the parking lot to take you to the B&B where your cooking class takes place. Your market tour will last about 1 hour and you will cover less than 2 miles on foot. 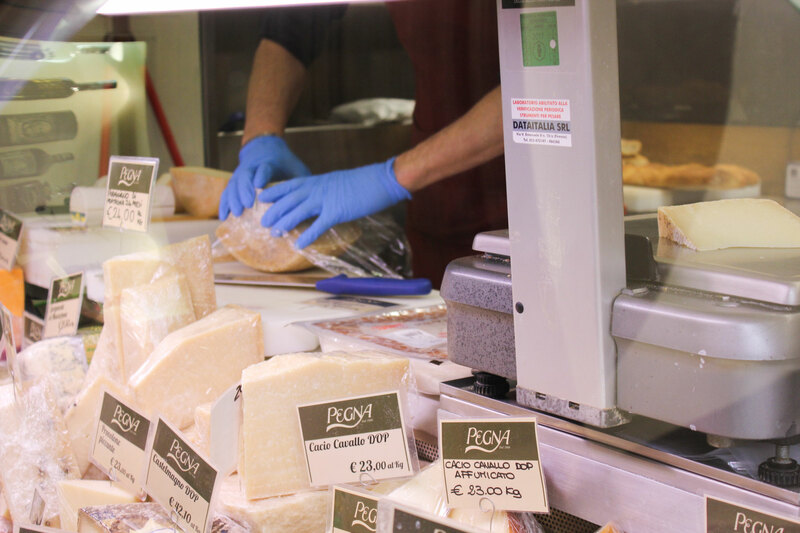 Please note that unlike a typical single market tour, this is a tour of several shops that sell high-quality Italian food and produce. Notes: Cinzia has been trained in vegetarian, celiac and macrobiotic cooking and is happy to accommodate your special dietary requests. 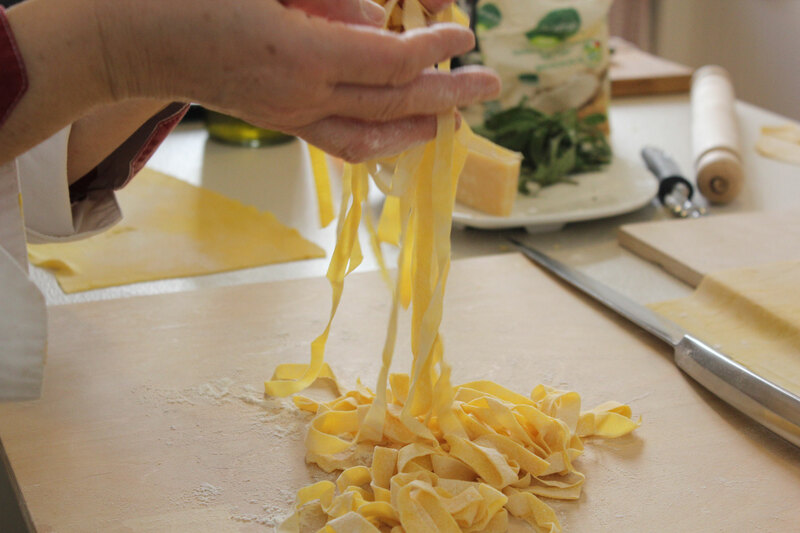 My husband and I enjoyed every moment of this market tour and class, from our shopping through our pasta lesson through dinner conversation. 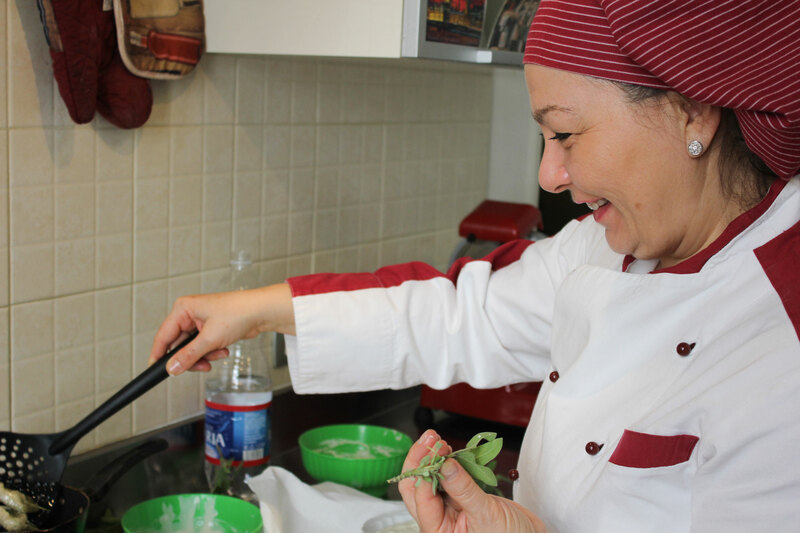 Cinzia is a great instructor and a lovely, warm host. 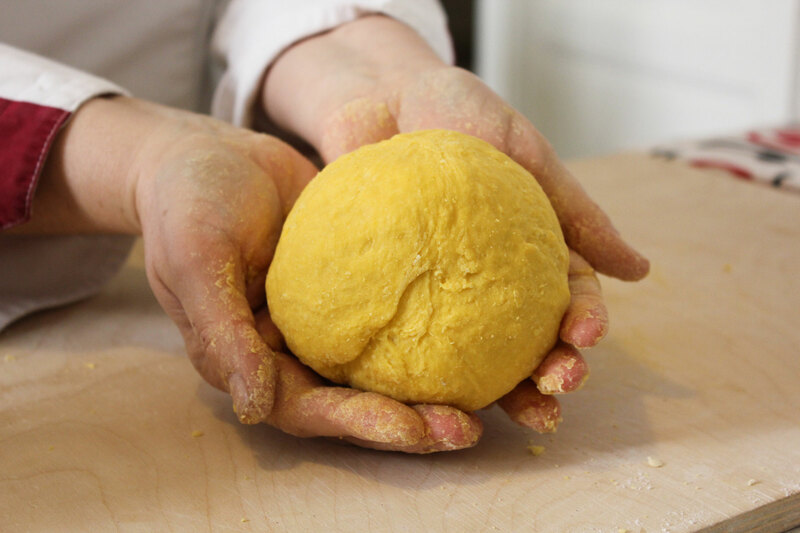 As a pastry professional, I had a great time talking with her about ingredients, cooking for those with allergies and special diets (she's an expert, trust me), and real Tuscan cooking. 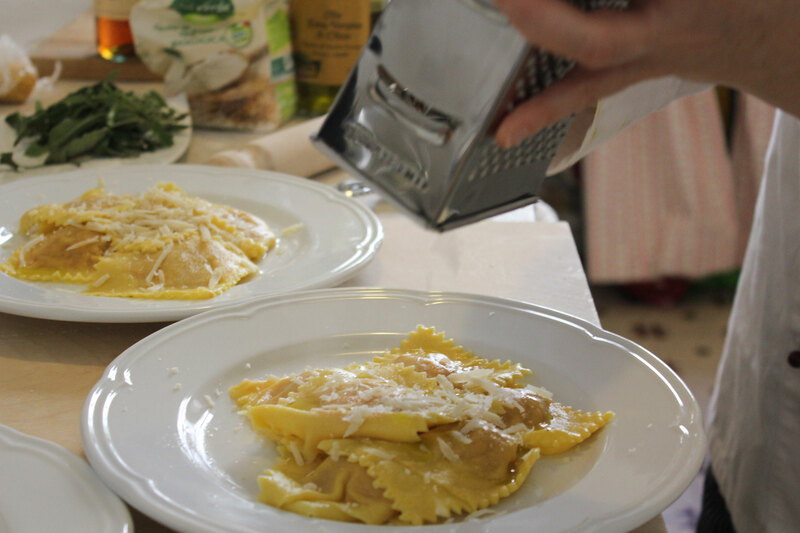 She had great tips to share that I will use in my own home cooking, and introduced my husband and I to such an easy way of making fresh pasta that we have no excuse not to do it in the future. 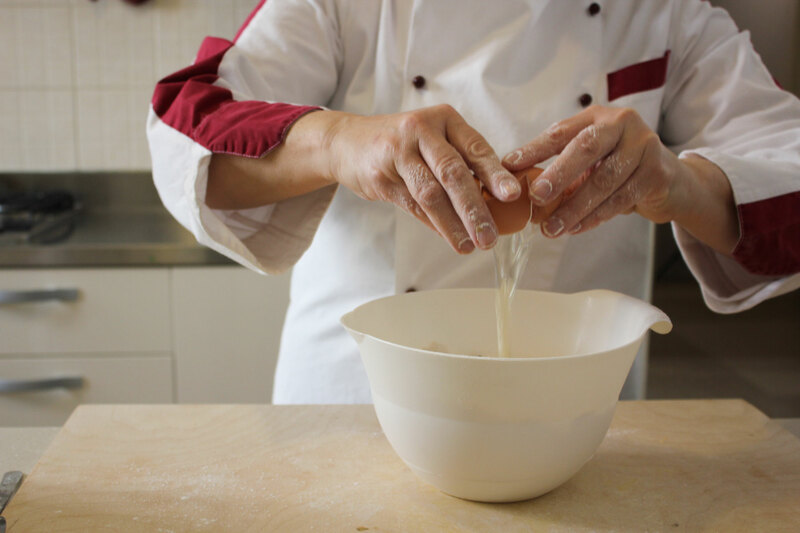 I will add that if you cook and love cooking, it's really worth it to take a private class - you get the kind of hands-on experience and attention you simply cannot get in a group. We absolutely enjoyed the night at the Bed&Breakfast with Cinzia. We had such a lovely and friendly welcome with some appetizers and some good wine. With fresh ingredients and basil from the garden, we made the most delicious meal, a gorgeous eggplant dip, a saffron risotto and the highlight: some self made pici pasta with tomato sauce. The dessert was an amazing panna cotta with almond milk. And it was all vegan! We couldn't have a better first Traveling Spoon experience, thank you! My husband and I enjoyed our time with Cinzia touring several little shops for fresh ingredients and gelato before heading to our class. She is very knowledgeable about the city of Florence, and we learned a lot from her about some of the more recent history of the city and the stores. 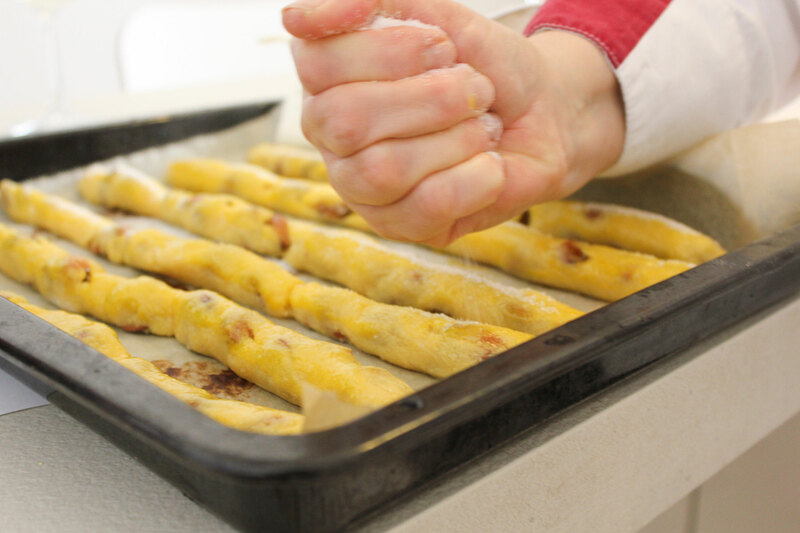 Cooking with Cinzia was a lot of fun! 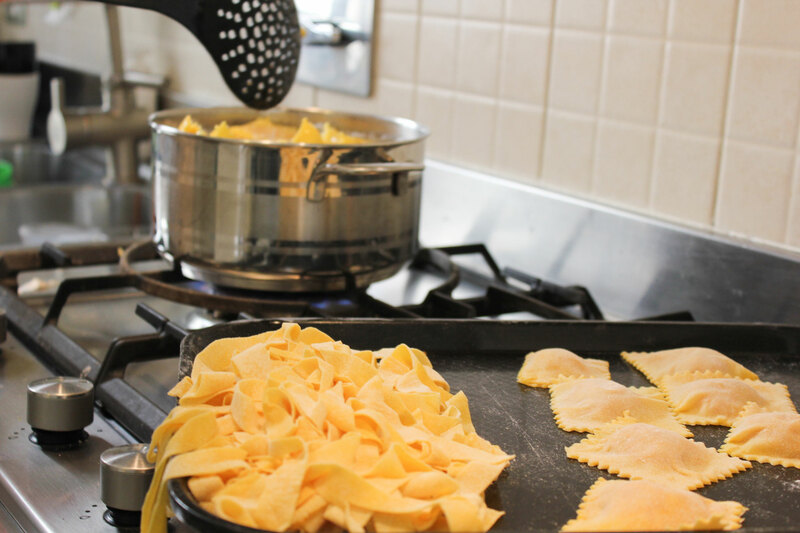 She catered to our vegetarian diet, and we prepared tagliatelle and ravioli from scratch. We also had a delicious eggplant, mozzarella, and fresh pesto dish, as well as a scrumptious panna cotta. The private setting made it more enjoyable than being in a big group with people you don’t know. 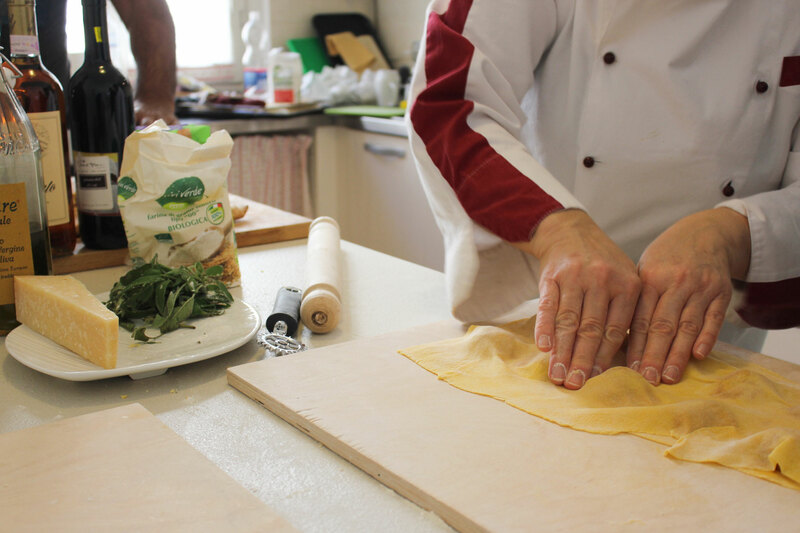 Definitely recommend trying this private tour and cooking class with Cinzia!